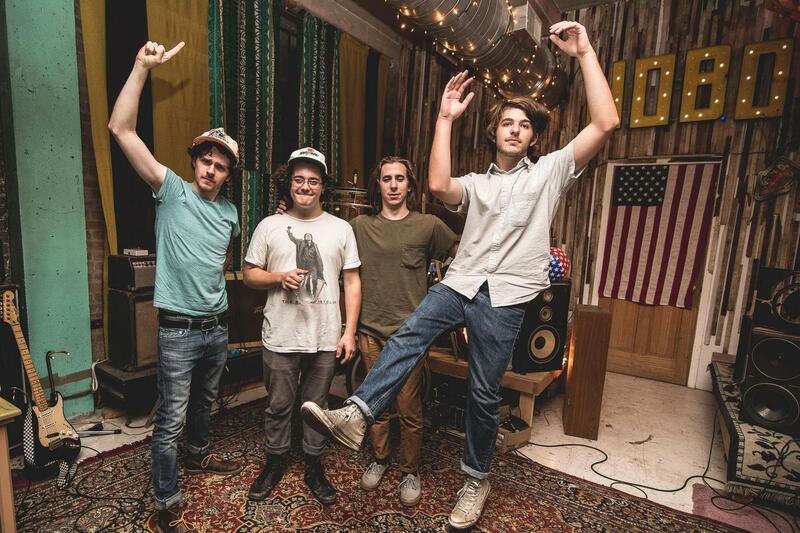 The Districts are a four-piece indie rock band from the small town of Lititz, Pennsylvania. The group formed in 2009 while members Rob Grote, Mark Larson, Connor Jacobus, and Braden Lawrence were all still in high school. The energetic rockers released their first EP, Kitchen Songs, in 2012 followed by Telephone, their debut full-length, the following year. Their mix of indie Americana and blues-inspired rock caught the attention of Mississippi's Fat Possum Records, which signed the Districts in 2013. In January 2014 Fat Possum issued the band's self-titled third EP, which contained three remastered songs from their Telephone album along with two newly recorded tracks. The Districts joined the band White Denim on their headlining tour as direct support in February 2014, leading them into an enormously successful introduction at SXSW after their insanely buzzed about sets at the Paradigm, Spotify and other showcases that week. NME magazine named them "The Band Who Owned SXSW", along with rave reviews from many other media outlets. The Great Escape in Brighton Beach, UK welcomed the band with the same praise after their electrifying set for the NME Radar showcase, as did their sold-out headlining show in London's hip Shoreditch neighborhood earlier that week. The band faced a few major setbacks in the early summer, including gear and van theft in St. Louis and the departure of founding band member Mark Larson. The band picked up the pieces and recovered the van, sans all of their gear, and welcomed Pat Cassidy of the Philadelphia band Keepers, into the family as Mark's replacement. With a tougher skin and their morale stronger than ever before, the band proved their worth gracing many festival stages this summer with rave reviews in the US, Europe and UK, most notably at Lollapalooza, Shaky Knees Festival, Outside Lands Festival and Forecastle among others in the US, and Oya Festival in Norway, Reading and Leeds and End of the Road Festivals in the UK, Haldern Pop Festival in Germany and Electric Picnic in Ireland. Right now the band is in the process of recording their first debut album on Fat Possum Records with John Congleton at Seedy Underbelly (formerly Pachyderm studio) in Minnesota and then shortly after, heading out to play both Austin City Limits Festival weekends, followed by a tour with fellow Fat Possum label mates, Temples. The Districts' are working hard to deliver honest, raw, energetic rock and roll music and have proved to be unstoppable so far in that endeavor. Keep your eyes open for a BBC Sessions Live EP from the band, recorded at Maida Vale Studio in London (6 October release) and an early February full album release worldwide.